Brief Biography of Leopoldo “Polo” Víctor Vargas. Non-commissioned officer (NCO) of the Chilean Air Force, Aerial Photographer, Photojournalist, Presidential Photographer and author of the award-winning picture of the World Press Photo of the Year 1973, and of the Official Portrait of Chilean President Salvador Allende Gossens and that of the each members of the Military Junta right after the Coup- Army General Augusto Pinochet, Aviation General Gustavo Leigh, Admiral José Merino, and Carabineros’ General César Mendoza. 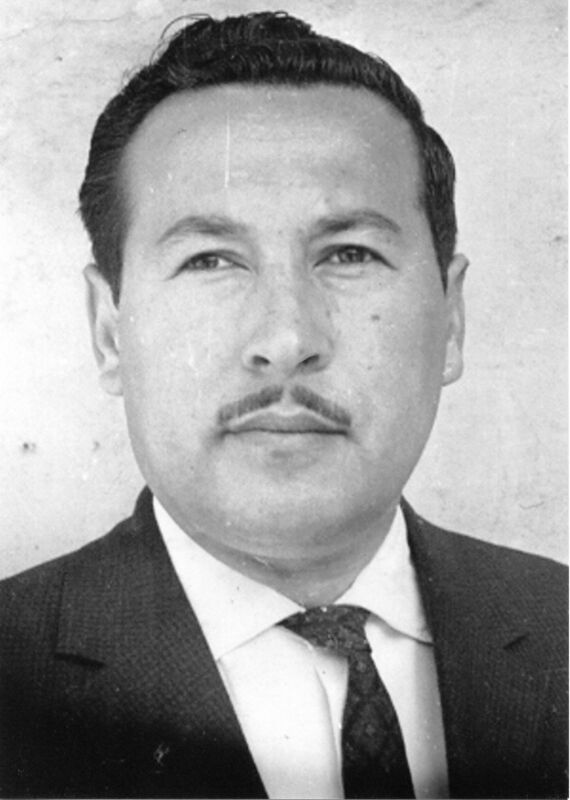 Leo Vargas was born on July 9 1933 in Putaendo, San Felipe, Chile. He was the love child and the only son of Susana Vargas Berrios. In his youth he joined the Chilean Air Force. At El Bosque Air Force Base he attended the Escuela de Especialidades, and graduated as an Aerial Photographer, and as a Photo Lab Tech. He married Ms. Erika Caroca Atenas, on May 5, 1956, in Santiago de Chile, and had four children, Leopoldo, Marcos, Alex and Erika Maria. Commissioned to work as a presidential photographer, by the Chilean Air Force, from 1964 to 1973, NCO Leopoldo Víctor Vargas, was the photographer that captured the most important and famous photos of President Salvador Allende – his official portrait in 1970 and the last pictures of the President alive, wearing a helmet and rifle over his shoulder, at Palacio de La Moneda, the day of the Coup d’état, on September 11, 1973. He was awarded the World Press Photo of the Year 1973, for one of those last pictures. Leopoldo Victor Vargas died after a long struggle with diabetes and all its complications in Santiago’s Hospital de la Fuerza Aérea de Chile on the afternoon of Saturday March 26 2011. He is survived by his wife, and by four children and six grandchildren. Chilean Air Force NCO and presidential photographer Leopoldo Víctor Vargas.